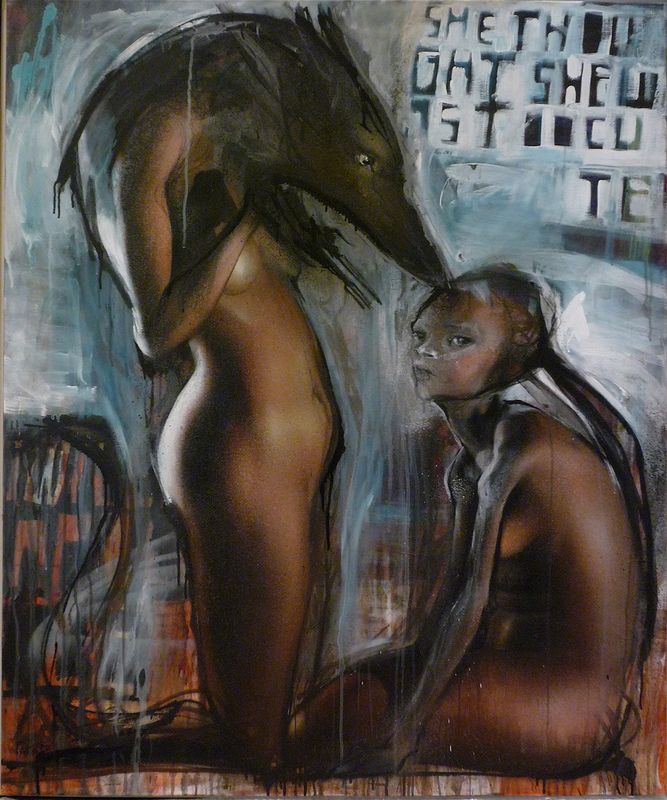 HeraÂ of Herakut (interviewed) just posted this new video toÂ her blog on Juxtapoz. She made it withÂ Rusk of Maclaim. 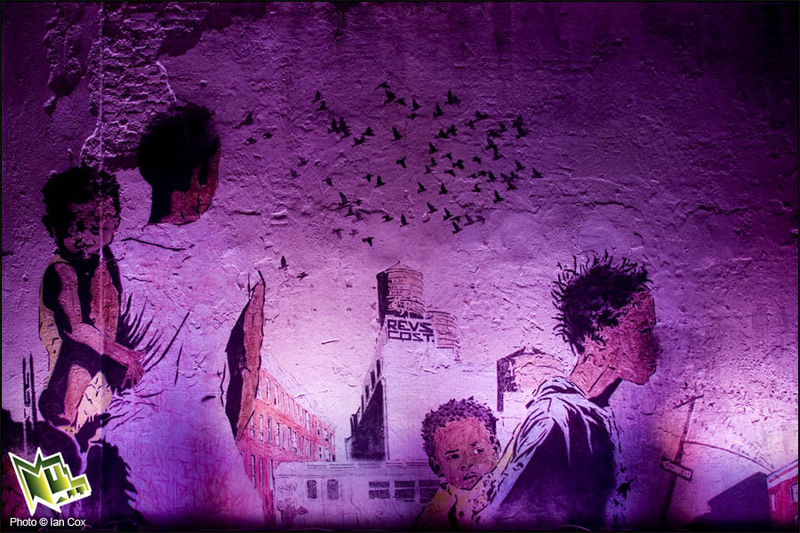 We love Hera here at AM and can hardly imagine a more artistic blog post. Discuss Hera here. 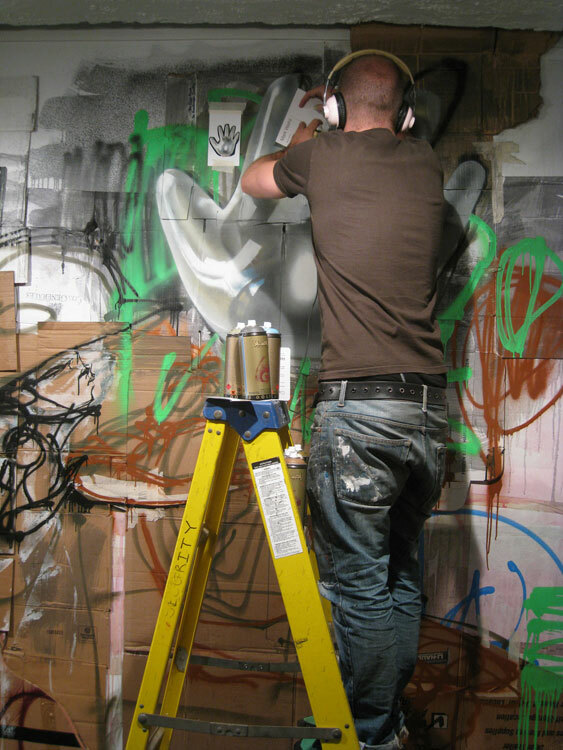 German duo Herakut (interviewed) are hard at work preparing for a surprise show tomorrow night at Red Flagg. 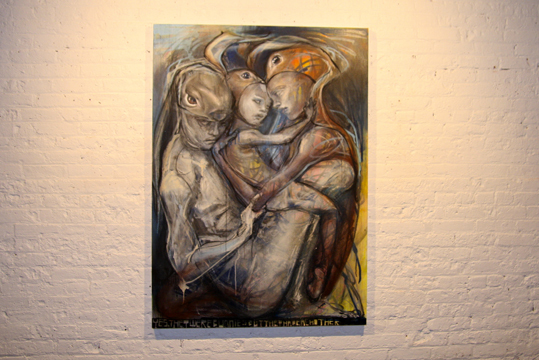 The show, entitled “No Placebos,” will run through July 3rd and opens with a reception from 6-8 pm with the artists in attendance and available for signing their recently published monograph The Perfect Merge.Â Hot off their successful exhibition with Campbarbossa, look for them to continue to impress with this New York show. 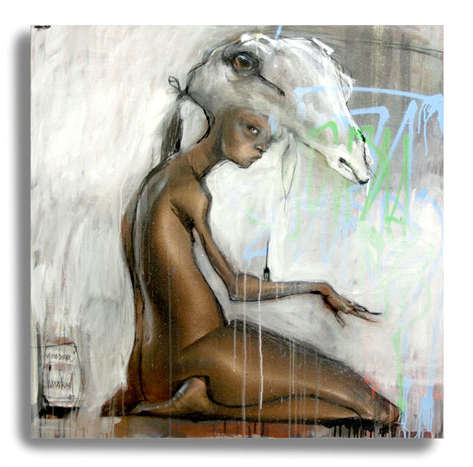 Herakut (interviewed) will be participating in a benefit auction for the charity War Child (viewing March 10-12, auction March 14) with Phillips de Pury. Not only will the canvas “You Sure?” be up for bidding, but there will also be other works on display (in progress) pieces showing the level of completion of a single piece. 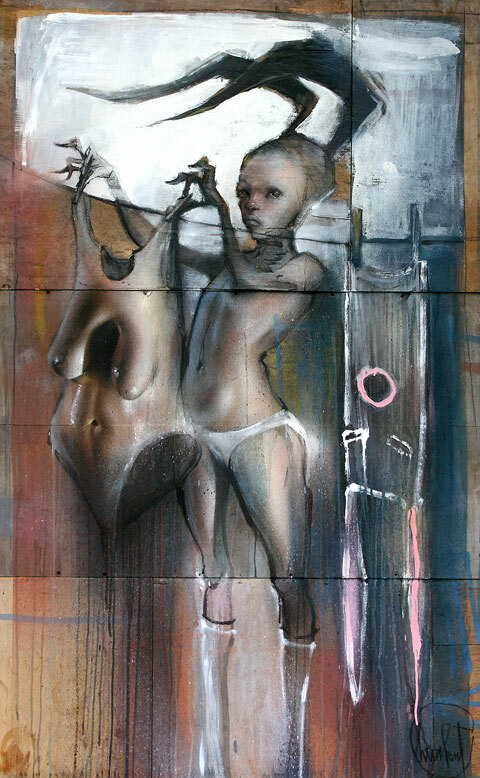 If you would like to meet Herakut, they are slated to be at the reception (March 10) to discuss their work. A picture of the sketch after the jump. 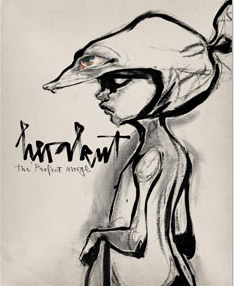 Looks like some preview images have come out for Herakut’s upcoming “The Perfect Merge” book. 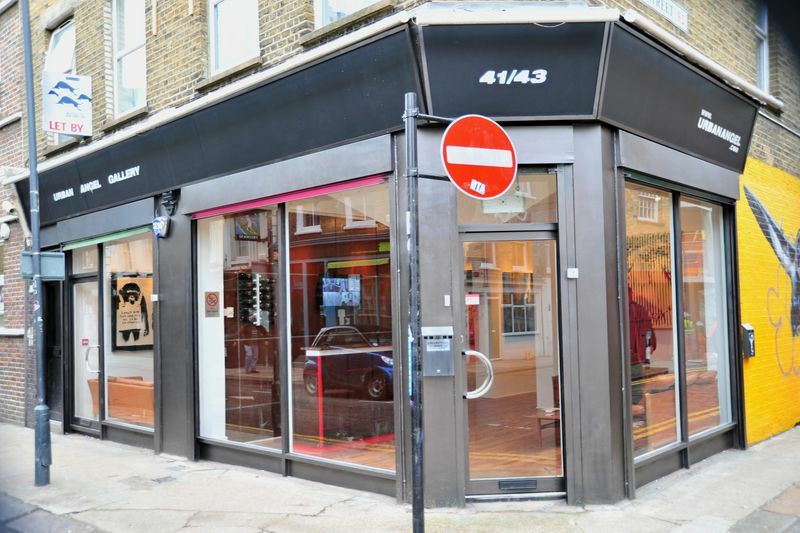 It incorporates some of the images from their outstanding “Dirty Laundry” show and definitely will be something that we will be adding to our collection. Preview images after the jump.